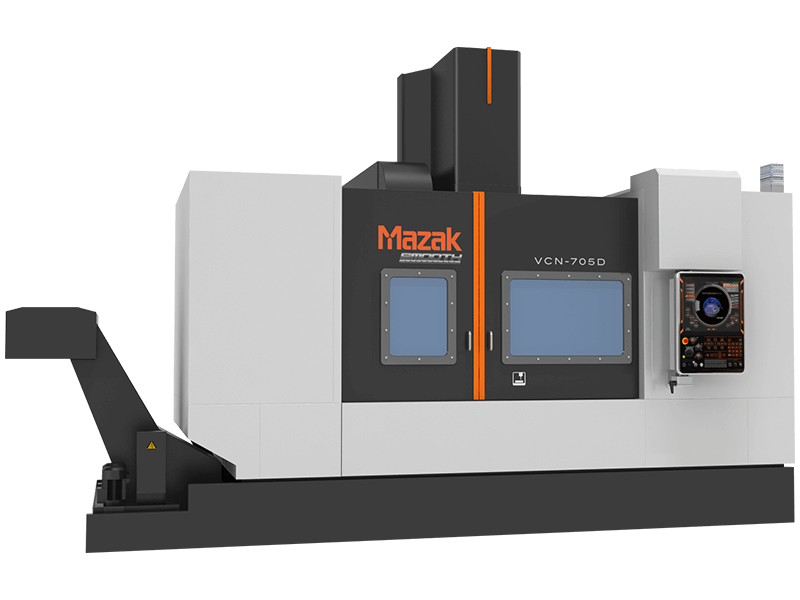 Made in Kentucky, the VCN-705D vertical machining center sets a new precedent in large part production, whether it involves heavy-duty roughing or high-speed finishing. The machine features a high-torque 50-taper spindle to give the machine the strength and power for aggressive metal removal in tough-to-machine materials, making it perfect for industry segments that require heavy-duty cutting operations such as automotive, construction and energy. Built with a traditional C-frame design, vibration-dampening, rigid base and headstock/column castings, the VCN-705D provides extreme stability to handle the most challenging parts. Plus, the machine’s high-speed automatic tool change system (ATC) is servo-driven for fast and reliable operation. Tool changes on the machine occur in 4.4 seconds to significantly reduce non-cut times and get spindles back in the cut in the shortest times possible.